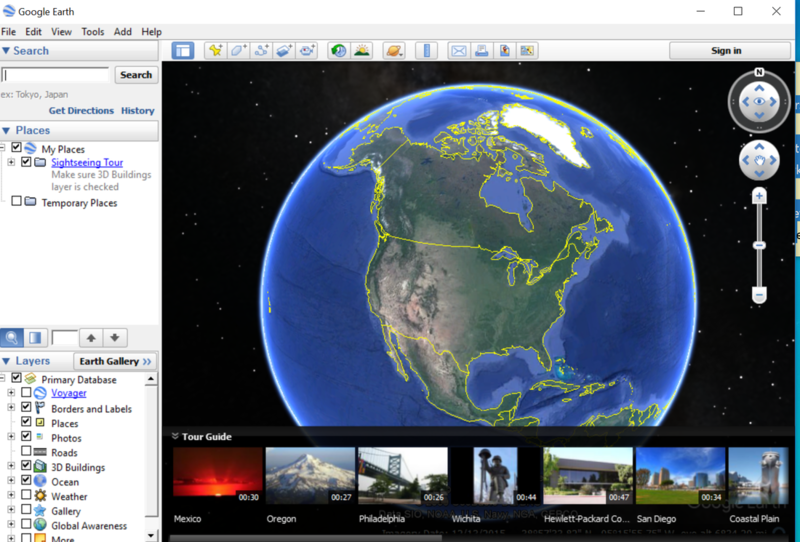 ​Google Earth is a free web-based learning tool that is easy to use. Student can browse freely or engage in a structured scavenger hunt of the globe through teacher prompting and inquiry-based questions. Students can use it at school or even at home for homework fun. 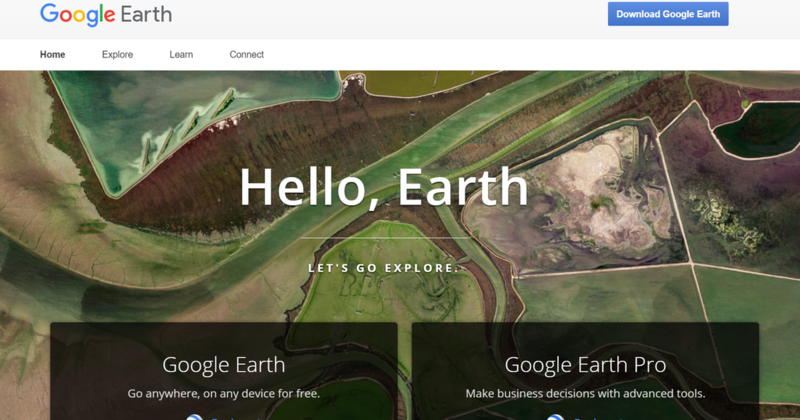 Google Earth allows users to visit place around the world that they would otherwise not be able to visit. 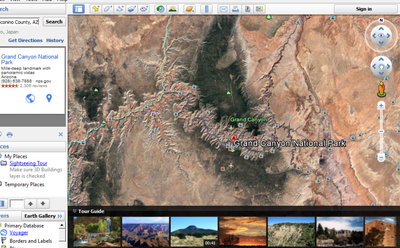 Teachers can use Google Earth for in class field trips. Teachers can take the entire class on a field trip to the Grand Canyon, Hawaii, Hong Kong, etc. Students can view glaciers, folds, faults, and reefs. Science teachers can use Google Earth for students to view various ecosystems around the globe.Many virtual tours are already created on Google Earth and ready for users to view. Students can use Google Earth to explore the globe freely. They can type an address or place to see in detail. This is a great tool for studying natural and political maps, learning to read maps and navigate maps. Student can create their own 3D models with Google Earth and map overlays. Students can use Google Earth to create imagery for powerpoint, or other presentations. Google Earth can be used in elementary, middle and high school settings. For elementary school, allow students to explore their own address, neighborhood, school and community. Students can also verify locations where meteors have hit the Earth. I know that a third grade standard in Georgia is for students to study the regions of Georgia. Google Earth would be the perfect platform to study these various regions of Georgia. Study. Fifth grade students in Georgia study the Civil War. They can use Google Earth to verify locations that hold significant value from moments in history, like where particular battles took place. Middle School students may find it fun to create their own map of places they would like to visit and give reasons why these places are important and worth the visit. High School students can chart the best places to go hiking, kayaking, or make a map showing the path that explorers traveled when discovering various areas of the world. Google Earth can be used to discuss current events in the news. For example, if there is an earthquake or tsunami, teachers can bring the image of the area up on Google Earth for students to learn more about the area and gain a better understanding of the current event. Overall, this is an incredibly engaging and interactive resource for students and teachers to use. Grades: 3 and up. Subject(s): Geography. Overall rating: 10.